Mothers Accused and Abused: Addressing Complex Psychological Needs　brings together storiesabout mothers who are accused of harming, and in some cases killing, their children, children who subsequently harm or kill others and the challenges to professionals who work with them. Contributors consider the deeply rooted cycles of neglect and abuse manifested in the childhoods of mothers, who only come to our attention when their extreme distress is expressed through their actions. By recognising the long-standing, unmet dependency needs of abused and neglected women, the book argues that longer term engagement can prevent a seemingly endless repetition of court hearings and imprisonment, and thereby address cycles of neglect. 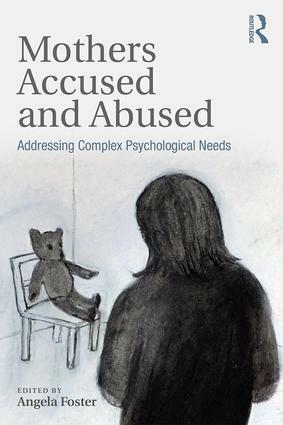 With sections on mothers in prison and interventions following child care proceedings,　Mothers Accused and Abused will be a valuable resource to　those working in the criminal and civil justice systems, social work and mental health as well as others who, in a professional or personal capacity, encounter troubled mothers and their children. Mythologies and stereotypes – a woman’s lot?